Beaded evening bags and the perfect retro vanity case from Violet Rose Vintage; gorgeous Fifties lace detail sundress (a wee bit small) from Goodbye, Norma Jean; amazing tartan jacket with velvet trim (a wee bit big – I was having a Goldilocks kind of day), also Violet Rose Vintage. Vintage knitwear (love the textures and colours); Mary Poppins tapestry bag – practically perfect in every way; and the most beautiful tortoiseshell perspex box clutch (both Violet Rose Vintage). Pretty, detachable Peter Pan collars – love the tartan; polka dot evening gloves Daisy Buchanan would approve of; vintage champagne saucers fit for a party of Gatsby proportions. Vintage crockery – chintzy floral prints and Sixties teapots; pretty plates and a flower-detail basket; yet another basket (lots to choose from at Judy’s!) making me dream of Summer picnics on West Sands. A vintage suitcase full of retro hats (love the floppy Seventies camel hat); more hats from Goodbye, Norma Jean; cute floral dungarees (Nineties style was big at the fair too). One of my favourite stalls at the fair: new discovery ‘Froggy Went Courting’, which specialises in ‘vintage attire for gentlemen’. 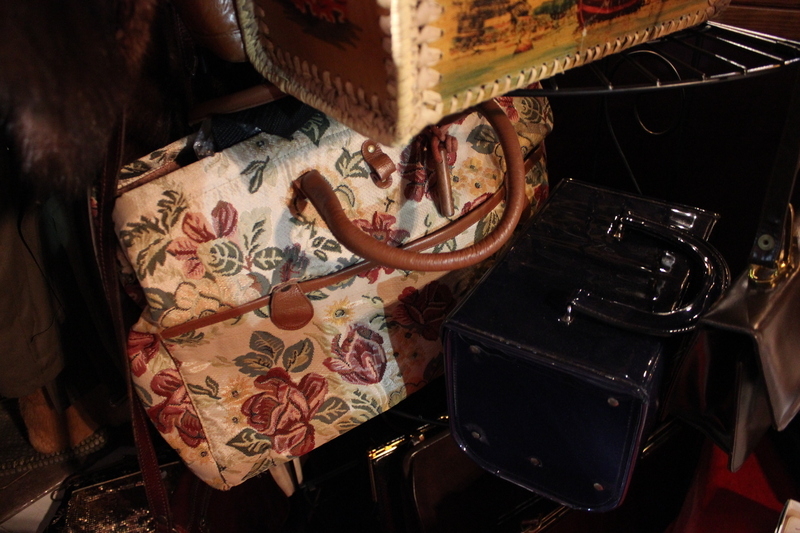 I loved the accessories – vintage cufflinks and tie pins, plus beautiful grooming kits. How very dapper. For more pics, including pretty Laura Ashley florals, a very AW13 Pepto-Bismol pink Frank Usher suit and Seventies embossed leather bags, check out my Instagram – everythinglooksrosie. 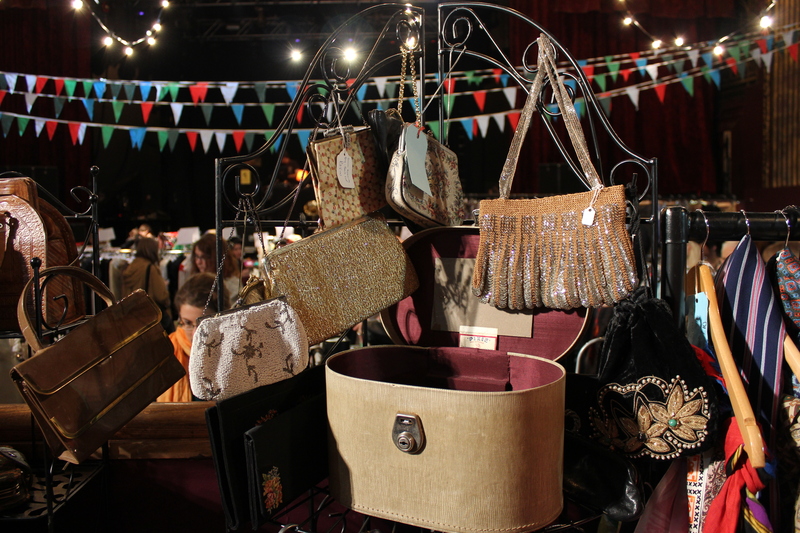 I didn’t manage to catch the name of every stall – if I’ve missed you out then please let me know! You can read my previous posts about Judy’s here. 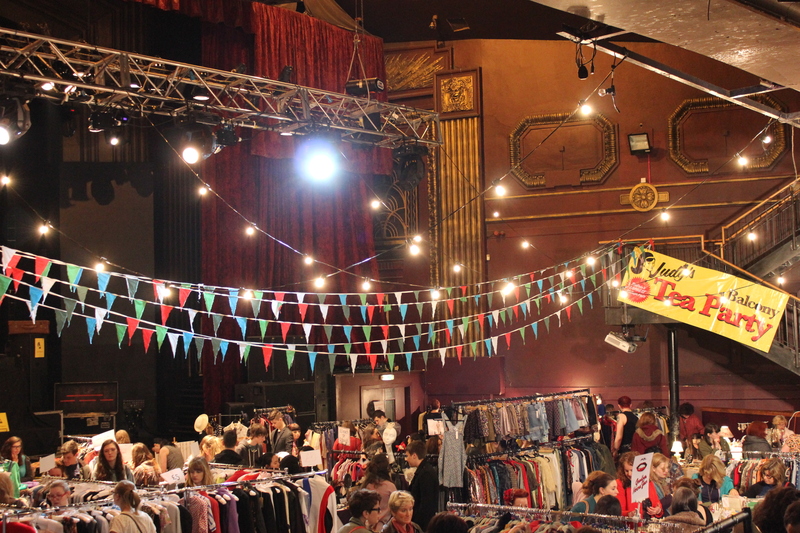 Have you been to Judy’s Affordable Vintage Fair before? 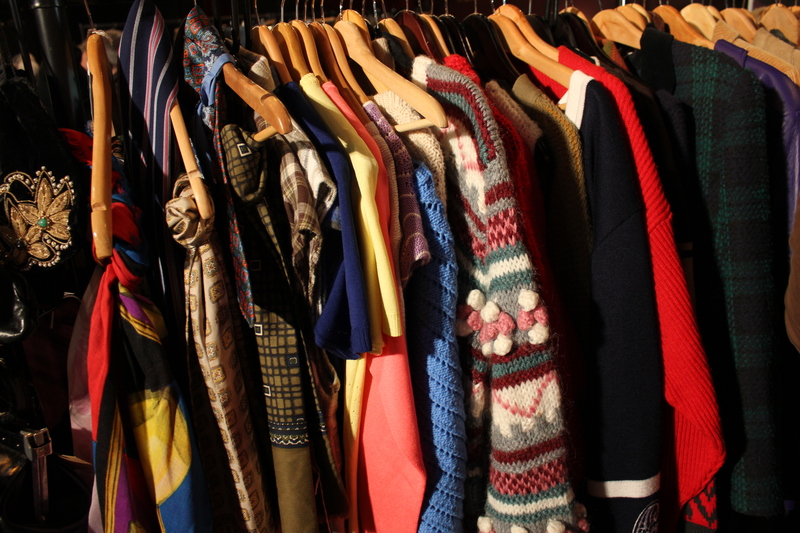 What are your best vintage finds? Thanks for your kind words about my blog. I’ll be sure to check it out!